Black holes can be big or small. Scientists think the smallest black holes are as small as just one atom. These black holes are very tiny but have the mass of a large mountain. Mass is the amount of matter, or “stuff,” in an object. 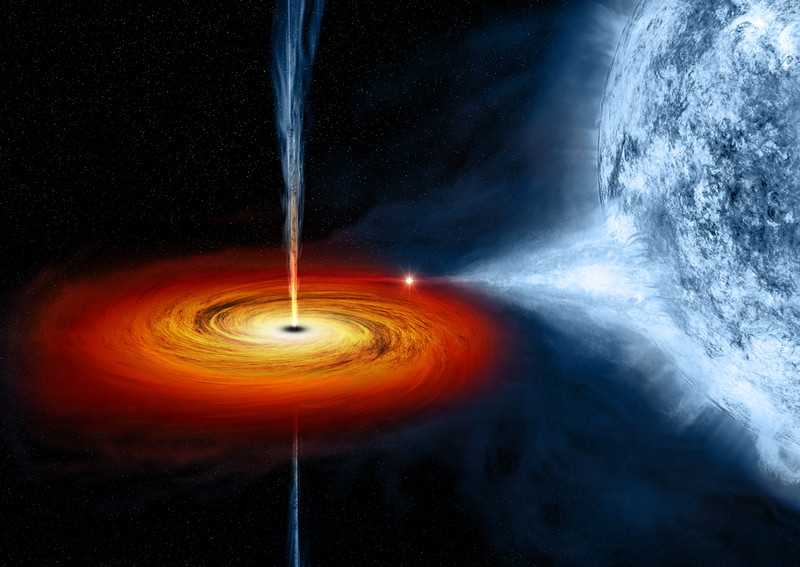 Another kind of black hole is called “stellar.” Its mass can be up to 20 times more than the mass of the sun. There may be many, many stellar mass black holes in Earth’s galaxy. Earth’s galaxy is called the Milky Way. An artist’s drawing shows the current view of the Milky Way galaxy. 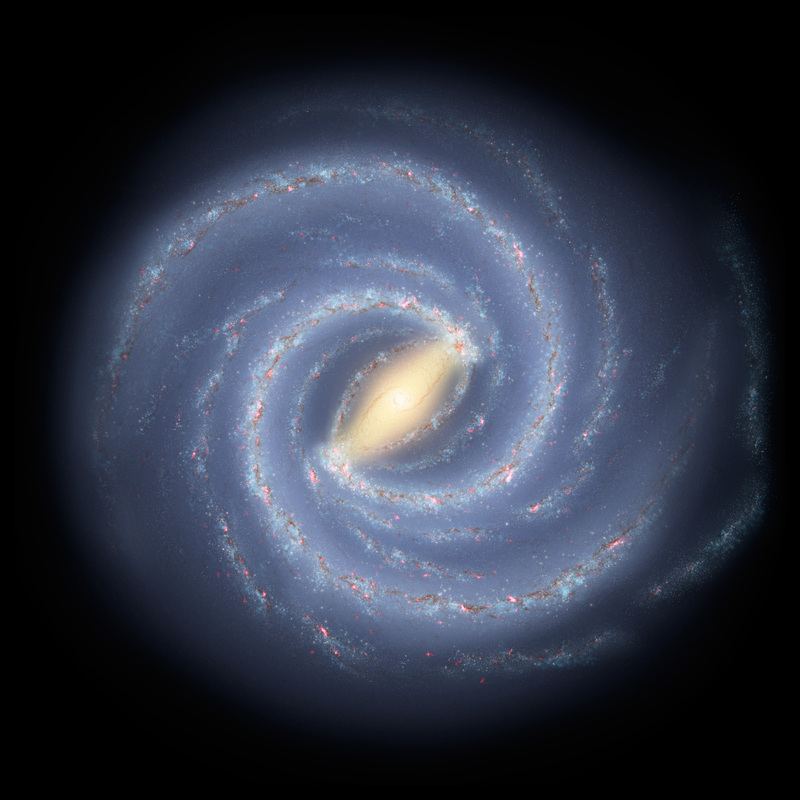 Scientific evidence shows that in the middle of the Milky Way is a supermassive black hole. The largest black holes are called “supermassive.” These black holes have masses that are more than 1 million suns together. Scientists have found proof that every large galaxy contains a supermassive black hole at its center. 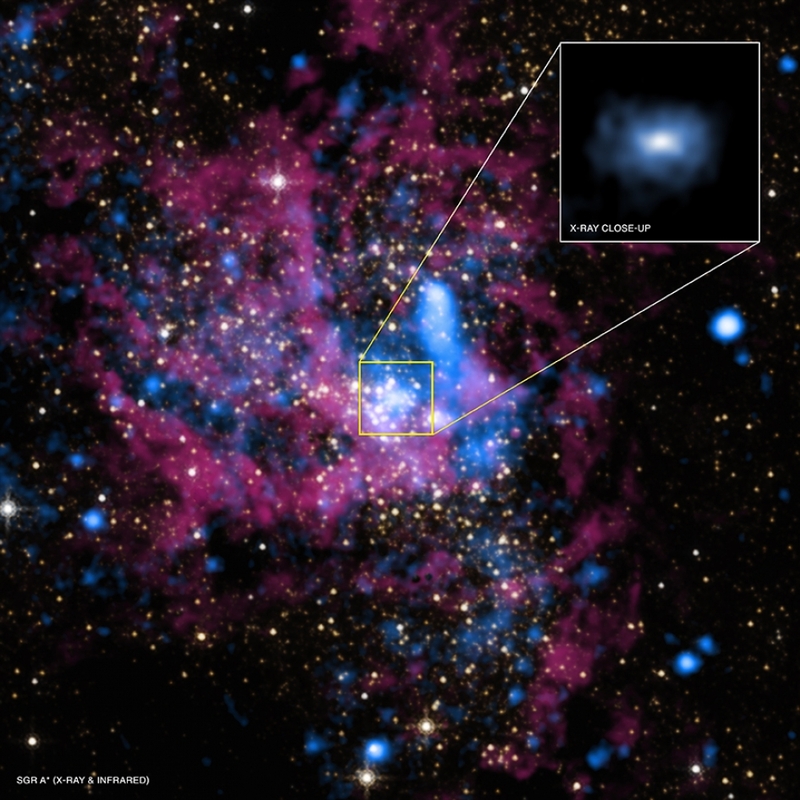 The supermassive black hole at the center of the Milky Way galaxy is called Sagittarius A. It has a mass equal to about 4 million suns and would fit inside a very large ball that could hold a few million Earths. 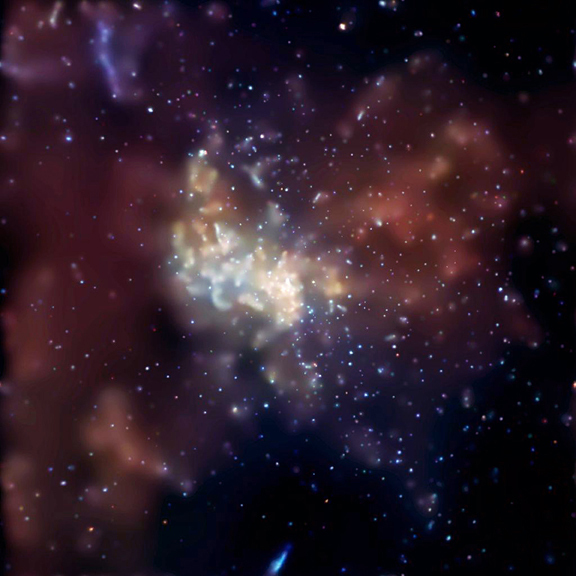 This image of the center of the Milky Way galaxy was taken by the Chandra X-ray Observatory.